Born in 1956 in Tehran, Dr. Naser Fakouhi is an Iranian author, translator and anthropologist. He is also an assistant professor in the Department of Anthropology in the Faculty of Social Sciences of Tehran University, administrator of the Website of Anthropology and Culture, and member of the International Association of Sociology and Iranology. Dr. Fakouhi received his new PhD degree in political anthropology in 1994 from the University of Paris. He has authored various books in the field of anthropology and culture including History of Thought and Theories of Anthropology, Civic Anthropology, Excerpts of Anthropology, Through the Labyrinth of Global Order, and Anthropology and Art. His articles and interviews feature his anthropological views toward a variety of topics like the youth and their marriage, women, issues concerning the university system, localization, review of narrative films and documentaries, and the political events of the Middle East. 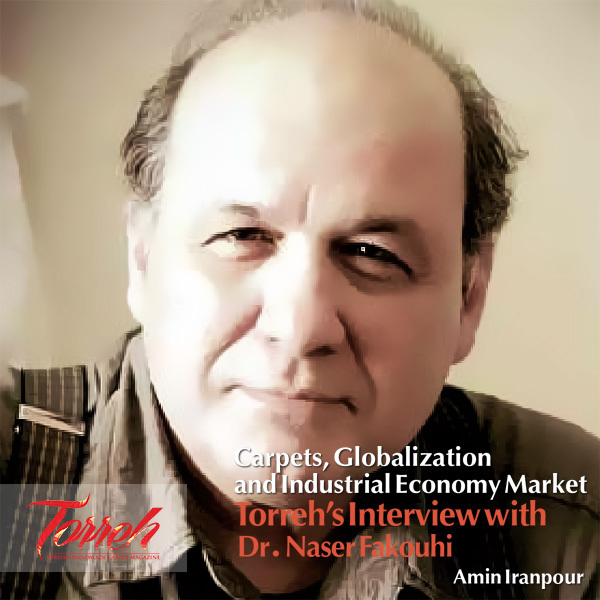 He has conducted extensive research on the culture of Iranian tribes, ethical and national identity, and the alliance between culture and industrial economy market. 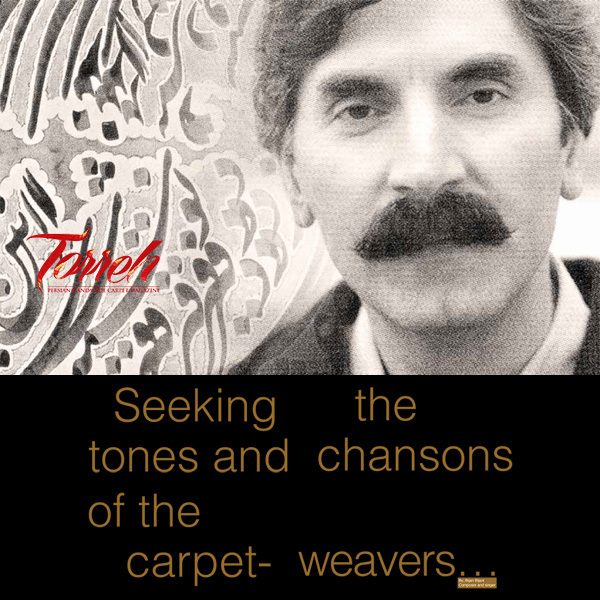 Such a vast background prompted Torreh to have an interview with him on the subject of carpets and market. Torreh: As the home to people from diverse cultural backgrounds, how can Iran lead its way to globalization while maintaining its identity and not falling behind the world at the same time? Firstly, we should know that globalization is not an option. It is no more possible in the modern world for a given country or society to isolate itself from the rest of the globe. Regardless of what we think of it, globalization has already taken place connecting different systems in various cultures as well as the local and global issues. Therefore, instead of discussing how to get rid of globalization, debates must be focused on how to manage the very fact of globalization and how to appear in the world while keeping our identity and even influencing the global culture and other cultures as well. It is paradoxical to use all the technologies associated with globalization from mobiles, computers and the internet to televisions and modern transportation on the one hand, and keep a number of goods outdated on the other. We otherwise need to adapt ourselves to globalization and the other way round. Nowadays, due to the industrial system and mass production, the artistic and factory production has changed into a luxury and costly one, and this is not just limited to carpets. Books are increasingly turned into electronic versions and the remaining paper ones will become more luxury and expensive yet have their own customers. Carpets have the same story. On the one hand, handmade carpets are replaced by machine-made ones which, if beneficial, should be fairly invested. On the other hand, a new market will be provided for highly valuable carpets that must be technologically and culturally supported. This is actually a way to maintain our cultural identity. Restoring our carpets and traditional industries will lead to strengthening their accompanying identities and vice versa. However, as I mentioned earlier, such activities are not done automatically. We need instead to make exact technological and engineering as well as cultural and social plans. 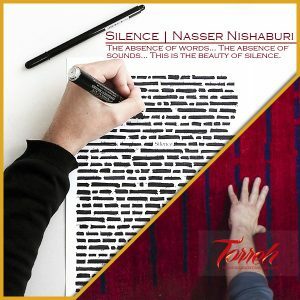 Torreh: One of the great issues facing Iranian traditional arts and handmade carpets in particular is globalization (as an economic process) which, based on neoliberal ideas and relying on the force of economy, leads all societies toward identical serialization and mass production of goods. Once our handmade carpet, as our original and local product, gives way to this process, it may lose its original nature. What is your idea in this regard? The issue is very complicated and cannot be minimized into just one aspect. The first thing to consider is that globalization as a long-term process in the period between the 15th to 20th centuries was both a cause and effect of the Industrial Revolution. We now need to give a clear definition of globalization and Industrial Revolution. Globalization is a process which connects economic systems with other human systems in a way that the local and global issues would influence one another and cannot be distinguished. The main manifestation of globalization is the global market and the spread of fairly identical city lifestyles. Yet, globalization has paradoxically led to a cultural variety. The Industrial Revolution in the 19th century and its continuation into the 20th century changed production processes from traditional and limited forms into mass production which resulted in a rapid increase in consumption by reducing the costs of production. We are now living in a highly consumptive society whose negative outcomes far outnumber its positive aspects. Back to the topic of carpets, the process of industrialization in this domain is not necessarily negative. Firstly, globalization provides a global market that is far more extensive than the limited local markets or the former small and luxury global markets. Therefore, carpet artists can count on a market with much larger aspects for themselves. Secondly, although industrialization debilitates factory production, it has two positive outcomes: it eliminates or reduces children and women working under unfavorable conditions; though the ideal situation is still far to reach. It also creates a market for handmade carpets by introducing the inexpensive versions of traditional carpets. Accordingly, carpets can both supply a set of mass demands and increase the level and quality of production in order to get hold of specific markets. Such issues should be separately studied and investigated. Torreh: Handmade carpet has long been a key contributor to Iranian identity while able to both supply the market demands and preserve its cultural and artistic value. Yet, unfortunately, there has been an increasing fear of handmade carpet losing its lofty status and turning into a mere object. What is your viewpoint? Do you see any positive aspect? Firstly, I think the real value of Persian carpet, in terms of identity, artistic and cultural aspects, is still unknown to lots of Iranians and even the elite. So I need to thank your journal for shedding more light on the topic. Anthropologically speaking, carpet tradition in Iran can be compared with the trend of painting in Western Europe or that of American textiles before Columbus. Persian carpet needs to be studied from different perspectives and with a new outlook based on modern updated theories. For instance, it cannot be classified with handicrafts because it plays a symbolic and cultural role as a powerful reflection of social systems and mental beliefs. This is an area which has not been fairly studied. Former studies have been more focused on carpet as a museum or technological object, which are barely sufficient. However, attempts should be made to study and work on the iconography of Persian carpet, relations between local and ethnic identities and carpets, relations between the local linear system and graphic designs of carpets, analysis of the effects of culture and colors on Persian carpet, the role of carpets in political, ritual and economic systems over the long history of the country, etc. As such, the first step, I believe, is acquainting common people and the elite with the value of this treasure and then launching scientific and research teams to carry out further studies on carpets. Anthropology and Culture Website is ready to set up such a group and open up a new page in Torreh as we fully recognize the significance of training highly qualified scientific figures in this area. Considering all the aspects of carpets including the subject of identity and all the corresponding issues, we realize that while globalization requires Persian carpet to enter the art market, our attitude should not be solely materialistic. I gather there are two strategies in this regard. One is a short-term and medium-term strategy that can produce carpets based on the middle class market while controlling the market for the second-hand carpets with average economic value. 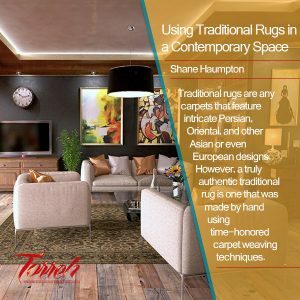 Another strategy could be a long-term one which incorporates carpet in the global art market and would therefore require carpets to be supported and elevated to the level of painting and sculpture. We also need to distance from the traditional and historical image of handmade carpet which unfortunately still exists and is not far from reality— i.e. exploiting women and children under hard conditions. Child labor must be banned in this industry and the work of women and other workers should be appreciated and supported. Nowadays, improving the quality of working conditions is crucial for achieving a share in global markets. For instance, many people now avoid purchasing some Chinese products as they believe they would not be of any help to workers and children working under harsh conditions in a country that lacks freedom and workers’ rights. Surely, once the global economy gets out of the current crisis, human rights and working conditions will turn to a key factor for acquiring the market. We have a great deal of work to do in this regard, I suppose. However, it is very unlikely for Persian handmade carpet to entirely vanish unless we do not take any effective policies. It is also impossible to expect handmade carpets to compete with their machine-made counterparts in the long or medium run. This is like the competition between paper and electronic books. Yet, to recognize the great value of handmade carpet as an art depicting our identity and history and to support it as an invaluable and luxury product to enter the global art market are quite accessible. Of course, it needs making intelligent policies far from radical and extremist stands that enables us to confirm the game regulations and play accordingly. We also need to change our view toward carpet as a museum object. It is all right to preserve our cultural heritage by showcasing old carpets but a terrible mistake to transfer them from homes to museums and use moquettes instead.